Look at it, frosting the glass up and mingling with the mint and cucumber like a floozy. We were served Pimm’s punch (Pimm’s, lemonade, strawberries, cucumber, mint) at a lunch party we were invited to recently and I fell in love with this beverage. Now, I don’t know if it was the strawberries, or the mint or the fact that I was drinking it in London, but it was good. 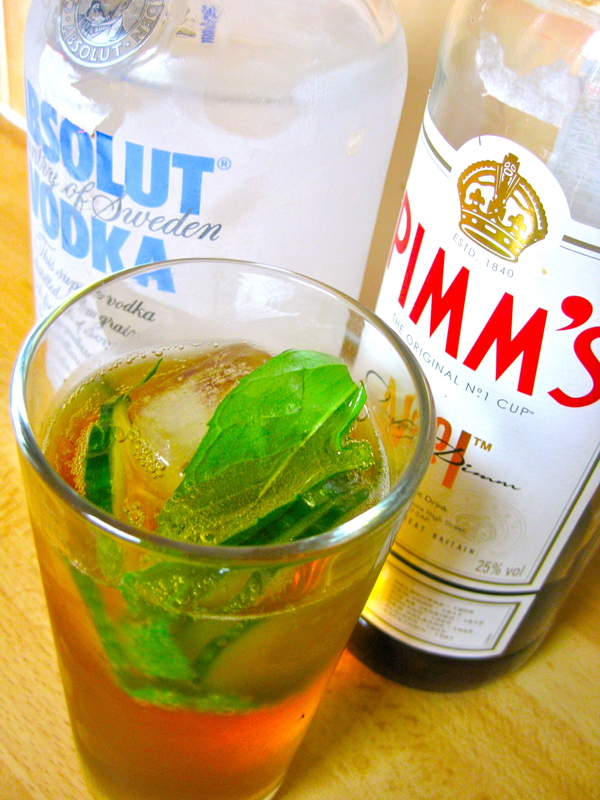 So good in fact that we bought a bottle ourselves and continued to have little Pimm’s parties every night for a week. 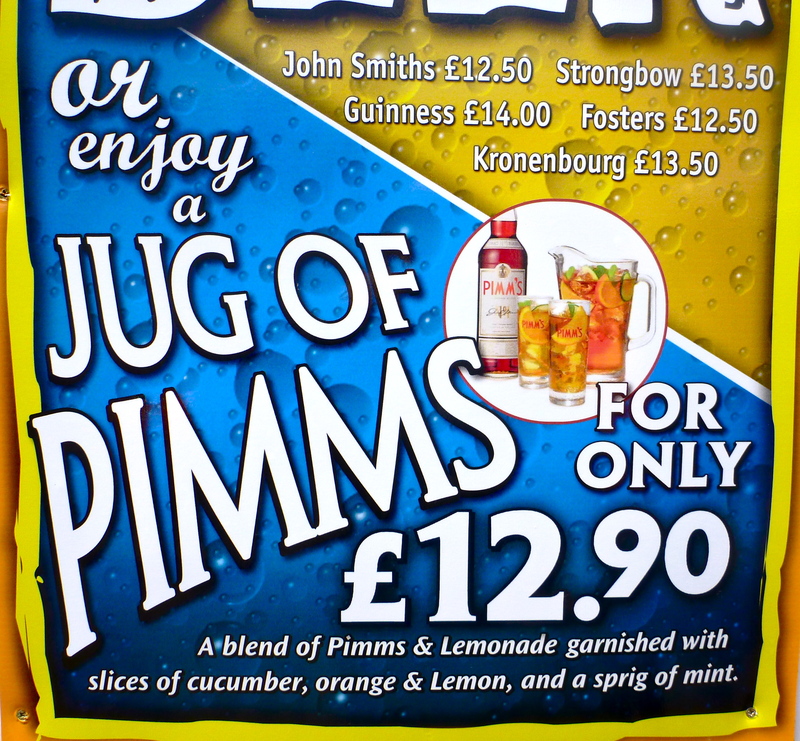 And with the sneaky addition of vodka, our Pimm’s became a cocktail. Strawberries, cucumber, ice and mint leaves – essential for maximum enjoyment.